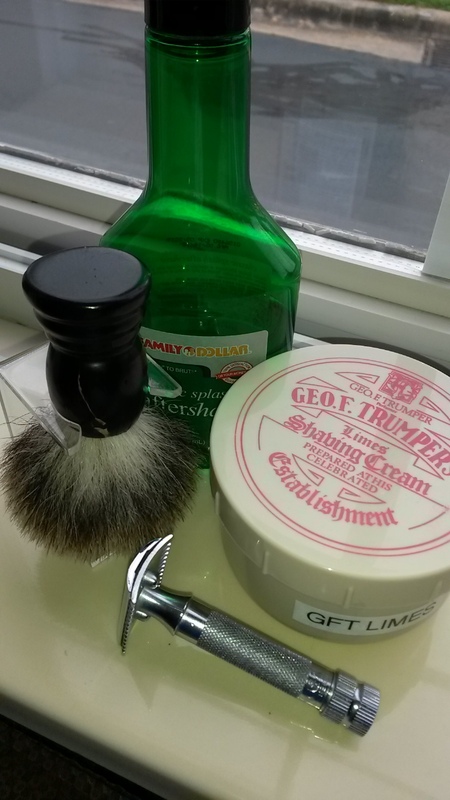 So yesterday I use AoS and today it is now George F. Trumper – lime. I thought the AoS created a larger amount of lather in less time but the GFT lather had double the cushion and glide. Missed a few spots while shaving. The merkur11c is an amazing razor but I haven’t quite mastered it. No more time to post. Gotta get on the road.